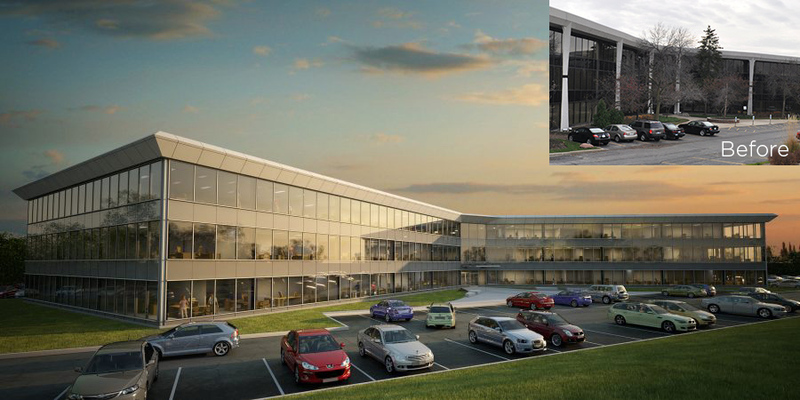 Located at 2275 Half Day Road, Bannockburn Executive Plaza is a premier suburban office building that offers tenants beautifully designed work spaces, high-end amenities and an accessible suburban Chicago location. 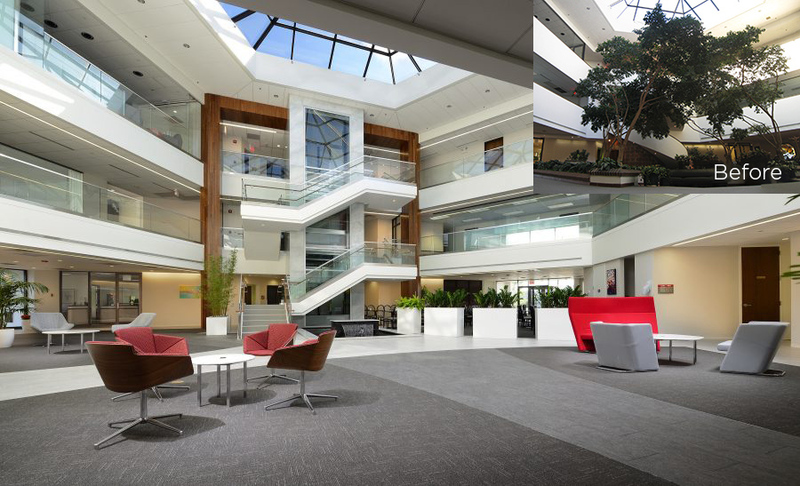 Wright Heerema Architects was selected to refresh Bannockburn Executive Plaza's interior and exterior in order to attract and retain suburban tenants. The design needed a high degree of creativity to improve the dated façade, canopies and entries, atrium, bathrooms, landscaping, signage and confusing access/entries. The WHA team took advantage of the project strengths: the location, visibility, large floor plates, parking and open atrium. The decision was made to remove the dated columns and create a whole new impression of the building. The atrium was transformed into a modern, inviting environment for tenants and guests.